The other day while visiting a local company regarding continuous improvement the question of how to sustain improvement and avoid plateaus came up. Thinking that this is a very common question many wrestle with I thought I would share my thoughts on the matter. Since the mid-1990's many US manufacturers have benefited from implementation of Lean manufacturing methods. Most of these implementations, however, have plateaued far below their potentials, producing only modest and sometimes transient gains, and failing to capture the passion and engagement of true Lean transformations. Companies naturally plateau because they get too happy too soon. The earliest plateau occurs after some initial stability from attacking low hanging fruit. In actuality if you are focused on developing people it is all low hanging fruit. These plateaus along the journey to true north can be counteracted by not only teaching the know-how but teaching the know-why. Plateaus are going to happen and management must anticipate them. They are a temporary place to solidify concepts and learning. Leaders must take the next step to move past their comfort zone. It is management kaizen that gets you past plateaus. Companies who break through realize that employee development leads to business (and Lean) success. Simply, sustainability is about lasting change. Sustainability is discussed often and one of the great issues in management. We have all seen facts related to the low rates of sustaining change or seen news about a company who lost its way. Unfortunately, we see all too often those companies who finally reach #1 to only lose their way. Complacency can and will compromise the performance of your organization. Everyone can become complacent in their particular environment, and there are different levels of complacency. At higher management positions, complacency may be more latent. At the line personnel “trigger pullers” level, however, complacency can have catastrophic results. When it comes to complacency with regard to Lean it is often the result of a “We are Lean” mindset. This leads to a reduction in awareness/focus and leads to a false sense of security. For Lean to work effectively, the organization must be constantly focused on continuous improvement and best practice procedures for providing value. What sets an effective Lean system apart from simply reducing waste is ingraining continuous improvement thinking into daily practice. Lean is not about a destination but rather journey. Charles Darwin said "It is not the strongest species that survive, nor the most intelligent, but the ones who are most responsive to change" which holds true for culture change. Below are ten factors that will help any organization make the change they make lasting. Capability – Management must employ the time and resources necessary for change. Intention – Determination and drive for the cause is required. You must insist we make the change and be determined to keep it up. 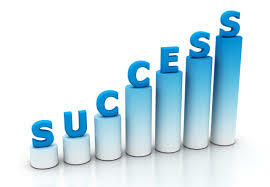 Success – People feel happier and perform better when there is a feeling of success and vice versa. Attitude drives performance so managers must project confidence. Hard Work – It is hard to keep it going. This is entropy. Without it, the system runs down. Emphasis on the team not the individual – In the US we love heroes, but actually teams are more fundamental for long-term survival. Teams need to be mentored and developed. Many small wins, rather than the occasional big win – Small wins keep up the enthusiasm, and certainly add up. Management needs to continually recognize small wins. Attitude toward failure – Everyone fails from time to time, but what is crucial is the attitude toward failure: do you punish or do you treat it as part of learning? Motivation – Sustainability requires interest and involvement of all employees. Ask "What gets rewarded around here? Build a culture to support improvement. Discipline – Make it a habit. Without good disciple the system will not be maintained. Management must teach discipline and correct lapses with respect for people as they occur. Performance measures – It is true you get what you measure, drive good behavior. Performance measures need to be aligned with what you want to achieve. Think long term. There is no such thing as self-sustainability, it requires ongoing effort. Sustainable behavior change is not something that occurs as a result of doing a 30 or 90-day program, nor is it something that you master after doing it for a year. Change takes a daily commitment to put in the time and energy, knowing that the return on that investment is great. Lean (excellence) is a journey that never ends. There will always be a gap between where you are (current state) and where you would like to be (True North). Since there will always be a gap, there will always be an opportunity to improve. Walking the path on a Lean journey can be an overwhelming experience.